Cost of SAP licenses is always very sensitive topic. There tons of information related to at some extent to this topic available on internet. However most of them is just about how SAP is expensive. You need to recognize between procurement costs once you decide to implement. This includes cost of work done by people who will be working on the implementation. After you deployed the software you need to consider standard cost paid to SAP as maintenance cost. There is not much clarity available once it comes to how much particular SAP license cost. SAP as a company is even contributing to these fuzzy and cloudy topic. Traditionally you couldn’t hear a much about the topic on SAP official pages as well. Usually SAP was always referring to this as “please contact your SAP account sales manager for more details.” It was no wonder that SAP customer were (and they still are) making large noise once SAP decide to increase any of license costs. Mirror at scribd.com can be found here. Purpose of guide is to get customers acquainted on different possibilities of licensing scenarios. There is a very nice new functionality available in ABAP stack. It helps users to recognize if something illegal Is not going on with their user accounts. This might be if someone is trying to hack their credentials in order to get an access to SAP system. By this user can recognize if ti is just he/she who did typo error or if someone else was trying to sneak around. 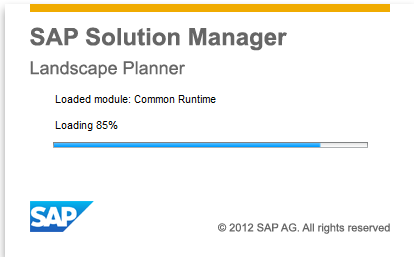 I’m not sure since when this functionality is available but seems it appeared in component SAP_BASIS 731 as of PL 05. Login is most likely implemented in function module SUSR_LOGON_USER_EXIT. In this place other checks (time zone, help, transport errors, SAP Business Workplace (SBWP) inbox notifications, user exit EXIT_SAPLSUSF_001 / ZXUSRU01, etc.) are implemented. Following what SAP administrator would do while user will report seeing such information: Admin can run tool like SUIM -> User-> Users by Complex Selection Criteria -> With Unsuccessful Logons or By Logon Date and Password Change where more information about possible thread is available. Afterwards there are many other tools that can be used for managing of users. Just to mention few: in the report RSUSR200 admin can select all inactive users that shall be locked. Further there is other report RSUSR_LOCK_USERS with which admin can automatically select and lock on user. New tool was introduced recently within suite of Solution manager’s Maintenance Optimizer (MOpz) tools. It is called SAP Landscape Planner and its purpose is visualize organization’s landscape followed by planning of changes into it, analyze impact of changes to the landscape etc. The tool is hosted via SMP as its applications. Landscape plan is used to assess scope and target systems in the landscape. Afterwards changes to the landscape can be evaluated. SAP Landscape Planner can be found here. Here’s the latest successor within SAP GUI family. It is SAP GUI for Windows 7.30. The 73 version is available as of 9th of April 2013. The major changes within this version are related to improved end-user’s interface where information is presented in a logical and easy-to-understand way. Also several others visual and usability improvements are available to enable users organize and complete their working tasks within the SAP environment in efficient way. As this version of GUI is Windows based following Windows version are supported: platforms: Windows XP / 2003 Server, Windows Vista (Business, Ultimate, Enterprise only), Windows 2008 Server, Windows 7 (Business, Ultimate, Enterprise only), Windows 2008 R2 Server Windows 8 (Business, Ultimate, Enterprise only), Windows Server 2012. Floating Docking Containers: Docking containers can be positioned individually by end users. Dragging the container with the mouse to north, west, east or south positions helps adjusting the screen layout for individual needs. Personalized TAB Order: Users can define their own TAB order within SAP screens. The new TAB order allows users to jump to the next screen element of interest. Screen elements not included in the TAB order can still be accessed by mouse clicks. Corbu Design: this is another SAP GUI design. This design comes with a reduced contrast when compared to SAP Signature Design and improves the integration of SAP GUI into other SAP components like NWBC which also offer Corbu Designs. Branding Area: A company specific logo (corporate branding, product branding) can be embedded into the top right corner of the SAP screen. This new branding area will help administrators to generate additional corporate communication and corporate identity. It can be used in SAP Signature Design and in Corbu Design. Signature Color Themes: New color themes can be applied system and client specific: Users are enabled to easily select different Signature color themes for test, development or productive systems and clients etc. This leads to a clear overview over the system landscape. System Comments in SAP Logon: Users can add system specific notes or information. This new edit area will help users to manage and comment the system landscape. SNC indication icon in the status bar: A small icon in the SAP GUI status bar indicates whether the connection between SAP GUI and application server is secured (SNC is activated) or not. End of maintenance for this version of SAP GUI is set to 15th of July 2015 (end of support for Microsoft Visual Studio 2010). SAP GUI for Windows 7.20 is out of maintenance as of 9th of April 2013. For the download of SAP GUI 7.3 see post: SAP GUI - where to download it? For full list of SAP GUI 7.3 features see SAP note 1670678. There is a following document about configuring and administering SAP GUI available in SDN: SAP GUI Administration. Basically there is in-depth description of GUI registry entries, different folders used by GUI, *.ini files configuration, themes descriptions etc. People working with SAP know what it takes to search for correction note of bug or an issue within SAP applications. Basically once you dealing with it you need to go through bunch a SAP Notes available at SMP. Sometimes the notes are not very well described so you may go in try-and-try loop. This of course takes time. SAP strives for better solutions of searching for the notes. This includes improvements of searching with SMP but not only that. SAP provides also tools using other approaches in this field. One tool available is based on tracing the issue while simulating it directly in the system. There is a transaction ANST_SEARCH_TOOL which allows direct reproduction of issue. Within this TA you are guided directly into the particular functionality where issue occurs. After that you are offered with list of application components (e.g. components of BW or BOBJ components) where you choose component or components and you will get a list of applicable Notes for your issue. The listed notes are applicable to the issue and are not implemented in your system. If there is a custom extension involved in the SAP functionality and issue is related to this code. In such a case Advanced Note Search Tool transaction shows all the points where the custom code is involved. Custom tables are listed as well. One more feature of the tool is Notes search capability directly from ABAP dumps transaction – ST22. The ANST tool is available to be implemented only via Support packages. It is a part of SAP_BASIS components within following support packages: SAPKB70028 or SAPKB70113 or SAPKB70213 or SAPKB73106. Means selected note is not available for viewing by audience out side SAP organization. You need to have we.g. internal SAP employee ID to access the Note. See more in my other post: Something about SAP Service Marketplace (S-user or S*user) ID. Means translation into language you using to view the note is in progress. Therefore the version in chosen language is not up-do-date. You may want to check the note content in original language (use Note language field to switch it) or wait once version of the Note in language you are familiar with appears.